Pelvic-Tucking and Lumbar Flexion: Movements We Shouldn't Do In Yoga? 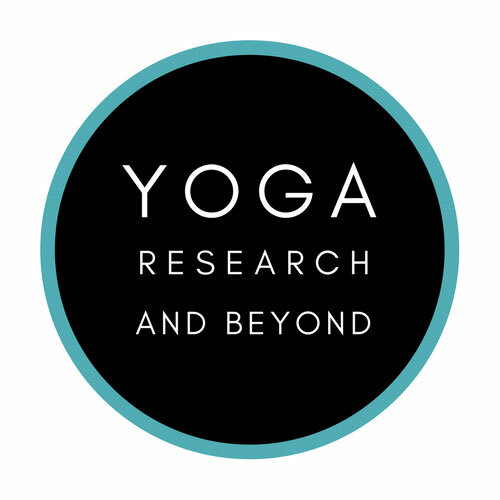 Last year, I wrote two separate blog posts addressing an unhelpful trend I had noticed in the yoga community: the over-use of the pelvis-tucking cue by yoga teachers. Instead of offering the instruction to tuck one’s pelvis only when doing so would specifically enhance the anatomical intention of a pose, many yoga teachers (and yoga teacher training programs in general) were treating the pelvis-tucking cue as an almost universal action that students should be working throughout their entire yoga practice. In today’s blog post I'd like to address this same alignment issue again, but this time from a surprisingly different perspective. Since the time that I wrote these two pieces, I have noticed that this pelvis-tucking message has grown much more widespread in the yoga community, which is a wonderful progressive step for us. However, this shift in perspective has brought with it a large population of yogis who are now taking a stand on the complete opposite end of the spectrum from the original issue. Today, I regularly hear yoga teachers report that they “never teach to tuck the pelvis”, that they have dropped this instruction from their teaching language altogether, and that tucking the pelvis and the accompanying flexion of the lumbar spine that occurs are “bad” or “harmful” movements for the body and should not be practiced. As well-intentioned as such viewpoints are, they are unfortunately not an improvement over the original situation. Instead of treating this as a black-or-white “to tuck or not to tuck” issue, I’d like to suggest that we move toward a nuanced approach to pelvic movement that takes into consideration the individual asana in question and the individual body being taught in the moment. WHAT EXACTLY IS A PELVIC-TUCK? First of all, let’s take a brief look at the anatomy of a pelvic tuck so that we can make sure we’re all on the same page when we talk about this term. Technically called a “posterior tilt of the pelvis”, this action takes place when the pelvis rotates backwards (or posteriorly) in the sagittal plane, which is the anatomical plane in which we view the body from the side. When this happens, the tailbone moves down and forward while the pubic symphysis (the place where the two pubic bones meet in the front of the pelvis) moves forward and up toward the navel. Here’s a quick video of me demonstrating a pelvic tuck because visuals are always so helpful! WHY DO MANY YOGA TEACHERS NOW BELIEVE WE SHOULD NEVER TUCK OUR PELVIS? Many teachers have misinterpreted the messages calling for a more judicious approach to pelvic-tucking (like those of my original articles) to instead be messages calling for the cessation of all tucking everywhere by everyone. But aside from this, some yoga teachers have concerns about the flexion of the lumbar spine that happens when our pelvis tucks. Here’s a quick visual demonstration of this - do you see how when the pelvis posteriorly rotates, the lumbar spine naturally moves into flexion? It turns out that cautions like these are based on a “lever system” model of the body which is limiting in its scope and is quickly becoming outdated. This model views the body, and especially the spine, as an inherently fragile structure that is quite vulnerable to injury when it experiences compressive forces. But a more current and accurate model of the body is that it is a naturally resilient biotensegrity structure whose tissues are supported three-dimensionally and have the ability to adapt to the demands placed upon them, thereby becoming stronger and better able to withstand load in the future. Forces affect biotensegrity structures like the human body (new model) differently than they affect lever systems like machines (old model). Of course if the spine were to experience a high load while in a position of flexion (like in heavy weightlifting, for example), it could certainly be injured. But basic unloaded and low-loaded spinal flexion is a safe and natural movement for healthy spines. Beliefs about pelvis-tucking and lumbar flexion have moved from one end of the spectrum to the other in recent times. A current trend in the yoga world is to not teach or practice this movement at all because it is inherently harmful to our bodies. I am hopeful that our yoga community will settle on a more nuanced, less fear-based view of this issue in the near future. Our pelvis and spine and their adaptive, resilient tissues were designed to move in many different ways, and to keep these areas healthy and functioning well, we should move them in all of these ways on a regular basis. And when it comes to the specific yoga asanas that we teach or practice, we should let our anatomical intention for each pose - and not a one-size-fits-all rule - determine the pelvic positioning we teach. -Jules Mitchell, M.S. - Watch her online class called Limber Lumbar (great name!) on the websites Udaya or Yoga Anytime, or even better, take her excellent Science of Stretching lecture series!